Making your home a featured home on Realtor.com, Zillow.com, and Trulia.com. Listing your home on all the major real estate sites, as well as local websites. Our team does tons of print advertising. For example: Pooler Living Magazine, Pooler Today Magazine, Richmond Hill Homes Magazine, Homes of Savannah Magazine, Richmond Hill Reflections magazine, the Newcomer’s Guide, Military Discounts brochure, the Richmond Hill City map, Various Billboards and the Richmond Hill Chamber of Commerce map. The Teresa Cowart Team has 8 full-time agents and 3 client care services coordinator, a transaction coordinator and a listing coordinator, that are all ready to help you sell your home. Contact us today for a personalized market analysis and listing presentation. Call 912-667-1881. Because social media allows us to build relationships with our followers, it is a major part of the Teresa Cowart Team's marketing strategy. These outlets provide opportunities to showcase listings, and point buyers and sellers in the right direction with helpful advice. We also have our own blog providing valuable resources and information for buyers and sellers. Our content is beneficial for any current or aspiring homeowner. Selling a home in today's market can be challenging and the Teresa Cowart Team understands that. while the market can be rough at times, dozens of homes are sold in our area every week. So, what makes the biggest difference between selling your home or having it sit on the market for months? Details! Whether it's our proven sales approach, effective marketing campaigns, or utilizing our extensive network, no detail is overlooked with the Teresa Cowart Team. We pride ourselves in the use of technology, social media and innovation to maximize exposure of your home. Our clients always come first, and when we say we are "making a difference in real estate" we mean it. You can count on us to be there every step of the way, and to make sure no detail, big or small is overlooked. 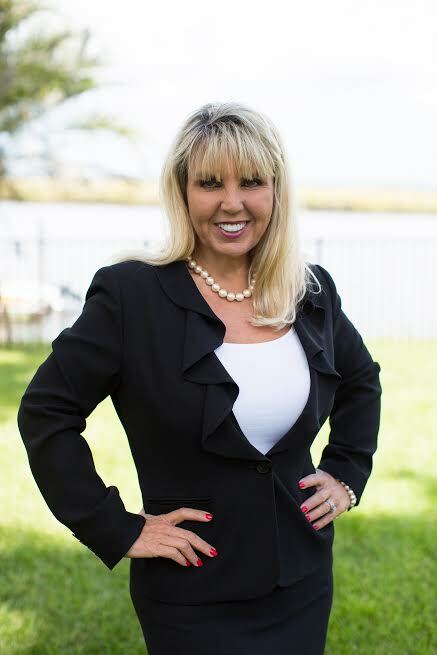 With a proven track record, the right skills and years of experience, the Teresa Cowart Team will work day and night to successfully sell your home. If you are serious about selling your home, we're serious about getting the job done. "The Teresa Cowart Team Guarantee": If you are unhappy with our service at any time, just send us a written notice and we will unconditionally release you from your listing contract with the Teresa Cowart Team and Remax Accent. "Rebecca went above and beyond all of my expectations and made this move such an easy transition. Being a military family, and this being our last move, we have seen it all, and this was BY FAR the best experience we've ever had! From start to finish! Beyond grateful for her!"